Prior to traveling to any new destination, I do a ton of research. That includes reading guidebooks, looking at travel websites, etc. One of my favorite resources is Google Maps, which allows you to view an area from above. 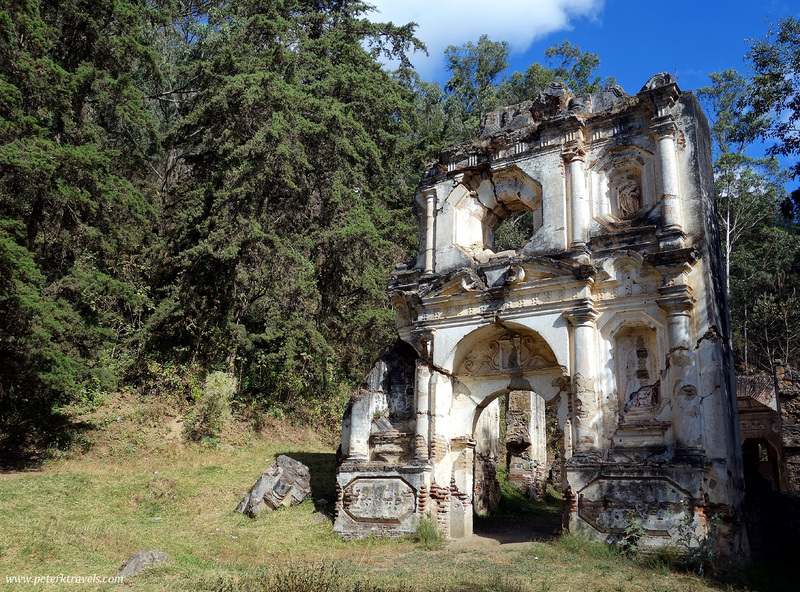 That’s how I spotted the Ruinas Senora de los Dolores del Cerro in Antigua, Guatemala. 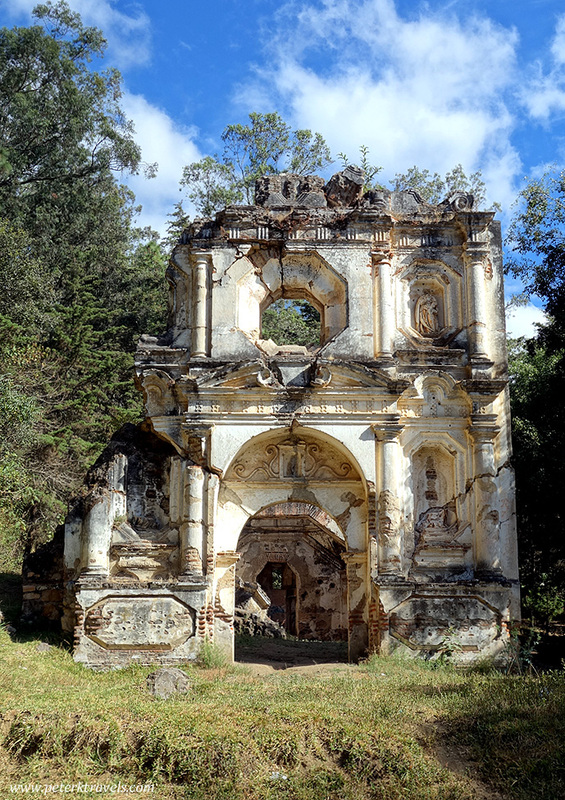 Antigua is filled with ruined churches. Some are closed off and you must pay a fee to enter. Others are completely off-limits, perhaps on private property or maybe too dangerous to visit. 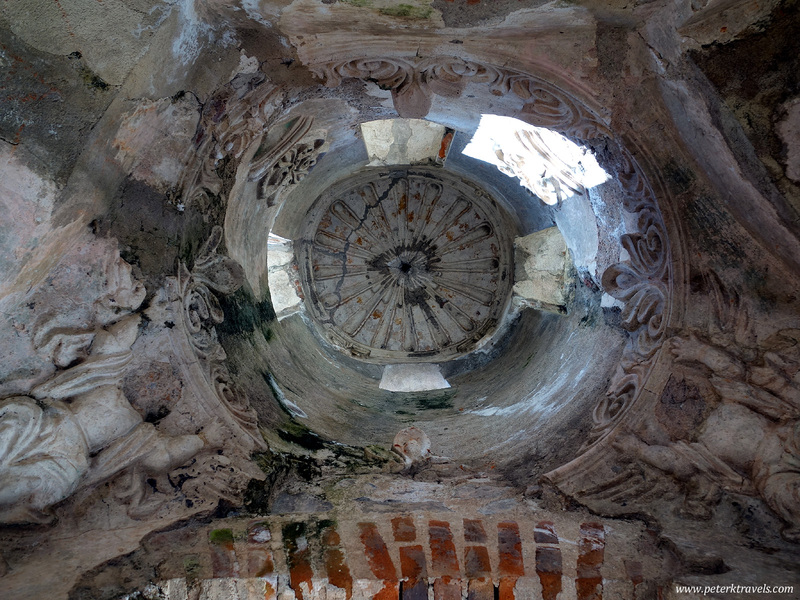 I couldn’t find much about the Ruinas Dolores del Cerro, other than spotting them from above on satellite view. 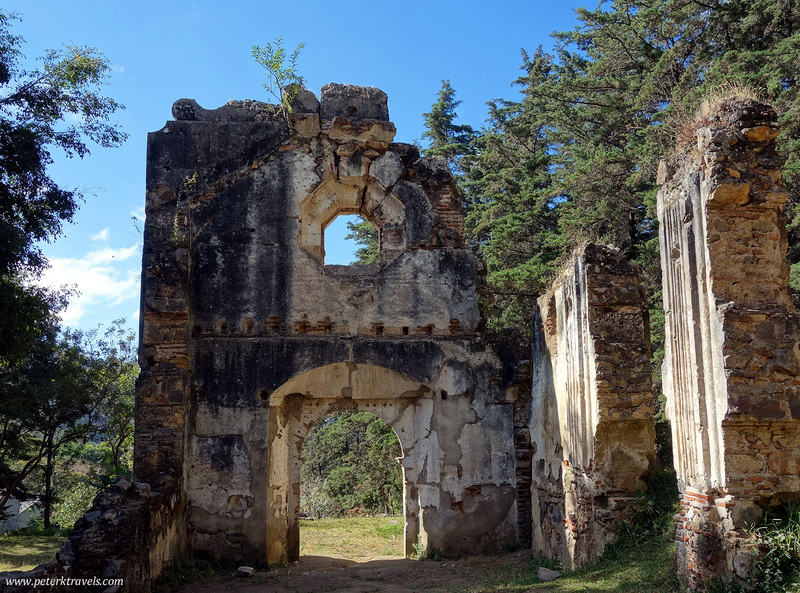 I saw the ruins were close to the path I’d take when walking to the Cerro de la Cruz, so I decided to detour to the ruins and check them out. As I climbed toward the ruins, I could see the church sitting on a hill surrounded by pine trees. It did not appear that it was a site that was being carefully maintained or staffed. It was enclosed by a ring of barbed wire, but I could see a way through. Throwing caution to the wind, I snuck under the wire and entered the ruins. 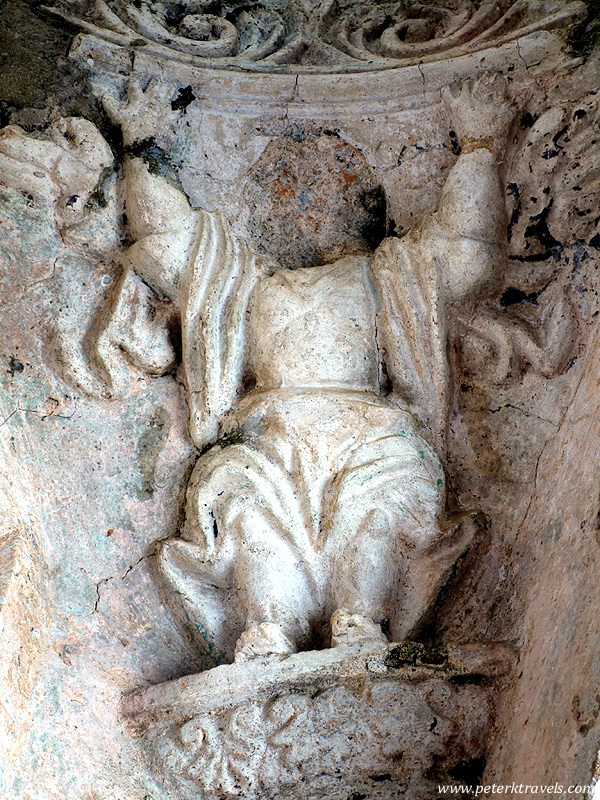 From what little information I can find, the church was constructed in 1710 to house a carved cedar religious figure. 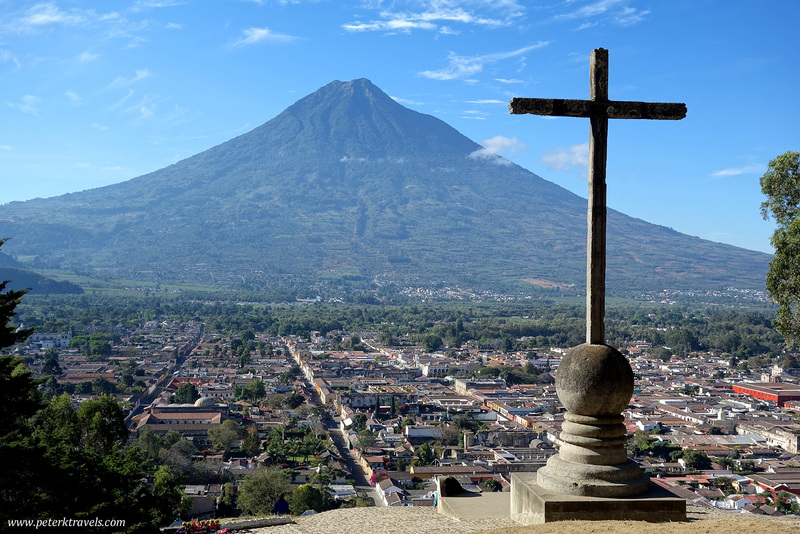 The church faces south towards the Volcano, instead of facing west like many local churches. The facade contains images of the Apostles, and there are angels and cherubs decorating the interior. 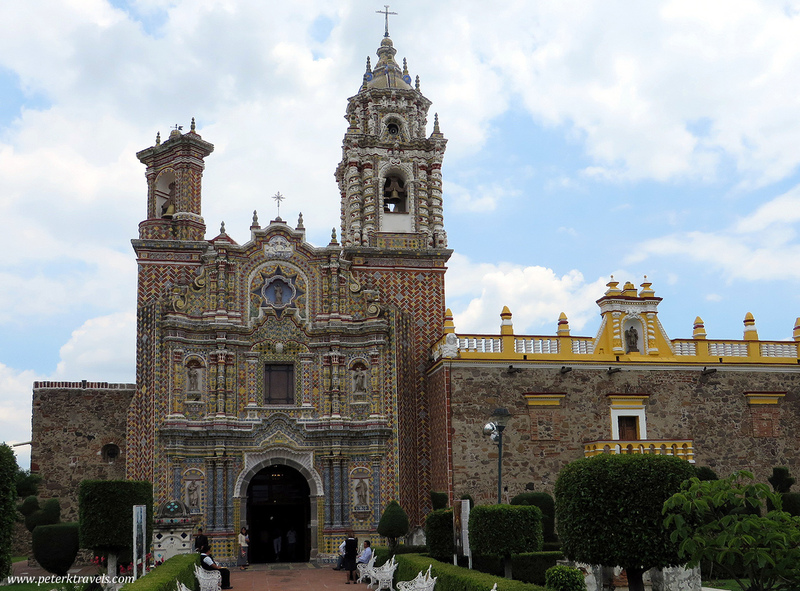 The church was destroyed in the earthquake of 1773 and left in ruins. The front wall still stands, as well as the back. Some columns still stand. Large blocks of ruined stone and mortar litter the site. 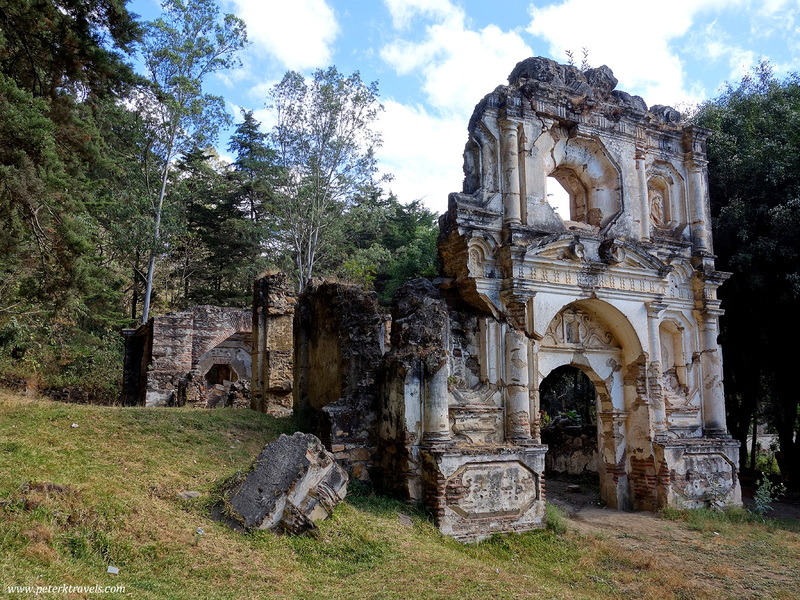 I ended up visiting several ruined churches during my time in Antigua. This was one of my favorite. It’s certainly a little more out-of-the-way, but being totally abandoned and quiet gave it a different feel than the others. 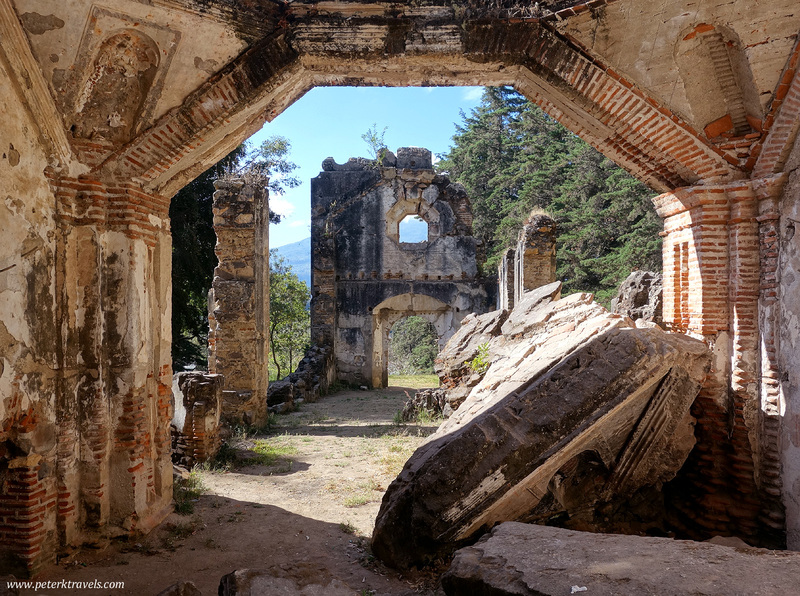 2 Responses to "Exploring a Ruined and Abandoned Guatemalan Church"
Awesome post, you were lucky to see it and it is a shame it appears to be kept from people, but perhaps that helps preserve it as well. Glad to stumble upon your blog. Thanks George! I’m actually headed back to Antigua the day after tomorrow. Looking forward to it!